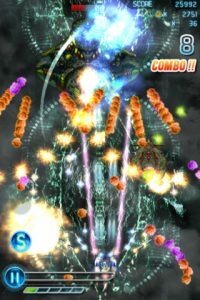 A while back, I got the chance to review Endless War, a vertical-scrolling space shooter where you can choose and customize your very own spaceship, load it up with weapons, and fly through various environments as you unleash the fury on some alien ships. 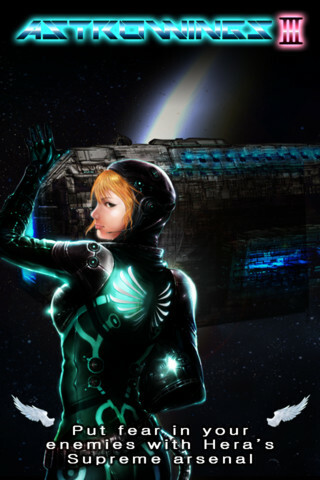 If you liked that iPhone game, then you might want to check out today’s title,AstroWings3- ICARUS, developed by M2m entgame. It’s a bit more challenging that Endless War, making it a better choice for gamers who have a ton of experience playing games in this genre. 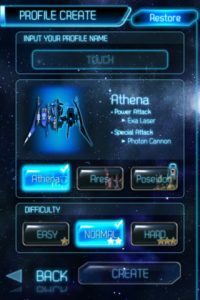 Boasting a player roster of over 2 million, it’s clear that AstroWings3 – ICARUS has a ton of fan appeal. With endless waves of alien squadrons coming at you, the 3rd installment of the wildly popular AstroWings series is tons of fun, whether you care about the backstory or not. AstroWings 3: Icarus puts you in the cockpit as the valiant Hera, a warrior goddess leading one faction in a winner-takes-all divine clash between ancient deities and upstart demigods. She personifies the resurrection of Icarus, embodying his desire to rule the skies, denying her enemies even one inch of airspace. Just for downloading AstroWings 3: Icarus during this launch promotion, you start the game with 3,000 coins which you can use to upgrade your HP, weapons, shields, and more. 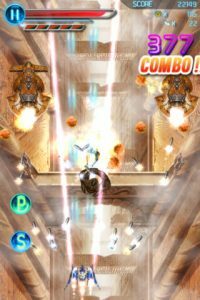 Upgrading your weapons is a smart move: do so will allow you to increase each weapon’s power chain, unleashing massive combos. Once you get started, you can enjoy great graphics and a pretty killer soundtrack while you blow those enemies out of the sky. If you like making things go boom, check the alien-killing AstroWings 3 now. You won’t be disappointed with this iPhone game. 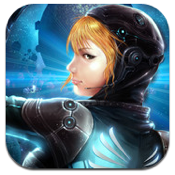 AstroWings3- ICARUSis compatible with iPhone, iPod touch, and iPad. Requires iOS 4.0 or later.